Model AV1-LED is a combination audible/visual signal. The AV1-LED features a 100% polycarbonate housing that is rated for Type 3R rain-tight applications. All AV1-LED units feature a unique twist-and-lock dome design to allow for tool-free access to the LED. The fresnel lensing provides superior visibility in all directions. The integrated buzzer provides 85 dBa output @ 10 feet (95 dBa @ 1 meter). 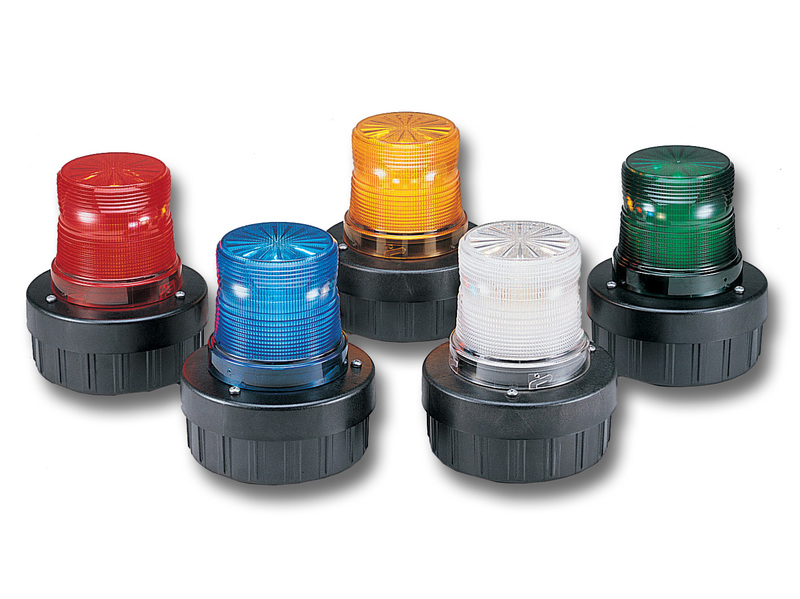 The unit is capable of independent flashing light and sounder operation. The LED can be field adjusted to two flash patterns, 60 FPM or 75 FPM, via a jumper on the PC board. Each unit is factory assembled with two color-coded leads. If desired, the user can remove the leads and connect directly to the terminal block located in the base of the unit.